In fact, 35 per cent of brokers said their clients haven’t asked about Brexit whatsoever. 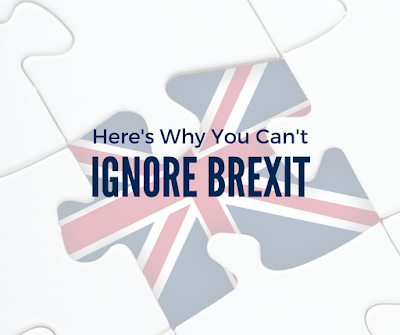 Although handling such a wide variety of concerns can be quite the balancing act for SMEs with limited staff and resources, your organisation simply can’t afford to ignore the implications of Brexit. Secure your supply chain — As the UK prepares to leave the EU, it’s important to take a closer look at how integrated your supply chain is with the EU market. Prepare for possible time delays from border disruptions and new product standards, and establish supply chain alternatives. Cut your costs — While Brexit is months away, consider cutting any controllable costs now to prepare for future price fluctuations or adverse foreign exchange updates. Analyse your workforce — Research shows that SMEs rely heavily on EU workers. Be sure your workforce will remain strong following Brexit by helping employees apply for settled status if necessary. The content of this Profile is of general interest and is not intended to apply to specific circumstances. It does not purport to be a comprehensive analysis of all matters relevant to its subject matter. The content should not, therefore, be regarded as constituting legal advice and not be relied upon as such. In relation to any particular problem which they may have, readers are advised to seek specific advice. Further, the law may have changed since first publication and the reader is cautioned accordingly. © 2018 Zywave, Inc. All rights reserved.